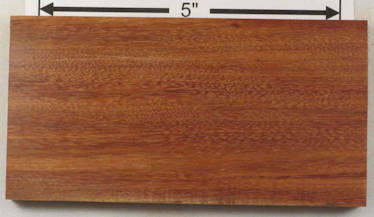 The heartwood is dark red, slightly streaked and very fine; it is clearly demarcated from the thick, yellowish-white sapwood. 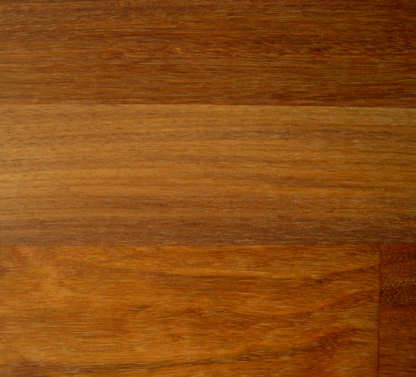 The grain is interlocked or wavy; the texture moderately fine to medium and even; the surface somewhat gummy, causing a speckled appearance. 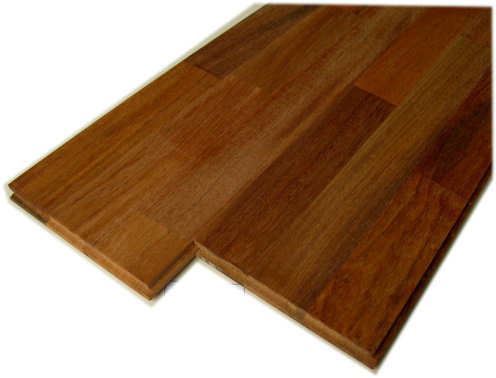 The wood is heavy; extremely hard; very strong; very durable, being resistant to the weather as well as termites and other insects - untreated sleepers lasted for 12 years in Thailand and for 20-24 years in India. It is easy to work when fresh but becoming hard when dry and difficult to work and plane and has a serious blunting effect on tools but a good finish can be obtained. 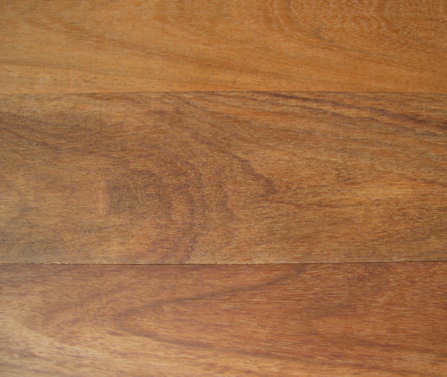 The wood is mainly utilized in heavy construction, house building, making bridges etc, as well as for railway sleepers, ship building, agricultural implements, tool handles etc. 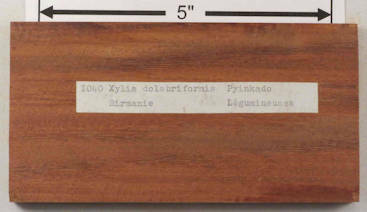 both sides of a sample plank of pyinkado / Xylia dolabriformis --- HUGE enlargements are present. This sample was loaned to me by David Clark whom I thank for this and other contributions to the site. The labeled side is raw but the 2nd side has been sanded down to 240 grit so looks a bit richer in color and shows the face grain details a little better. NOTE: this is a laminated sample with two thin pieces one on top of the other. 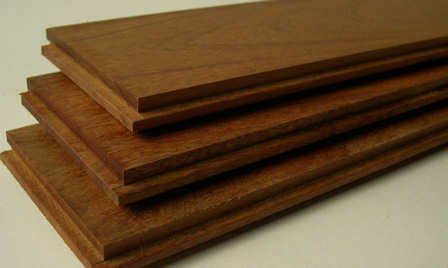 flooring pics provided by Martin Mensik, whom I thank --- Martin provided excellent pics so both levels of enlargement are available on all of them and you can really see the grain up close.